It was 1976 when he transitioned from Denver’s predominantly Latino Lincoln High School in south Denver to the Colorado School of Mines campus, where fellow students walked around with calculators on their belts and hard hats on their heads. “It was pretty geeky,” he says now.”I made it out, but I hated it,” says Tim Marquez ’80, referring to the four years he spent earning his degree at Colorado School of Mines. 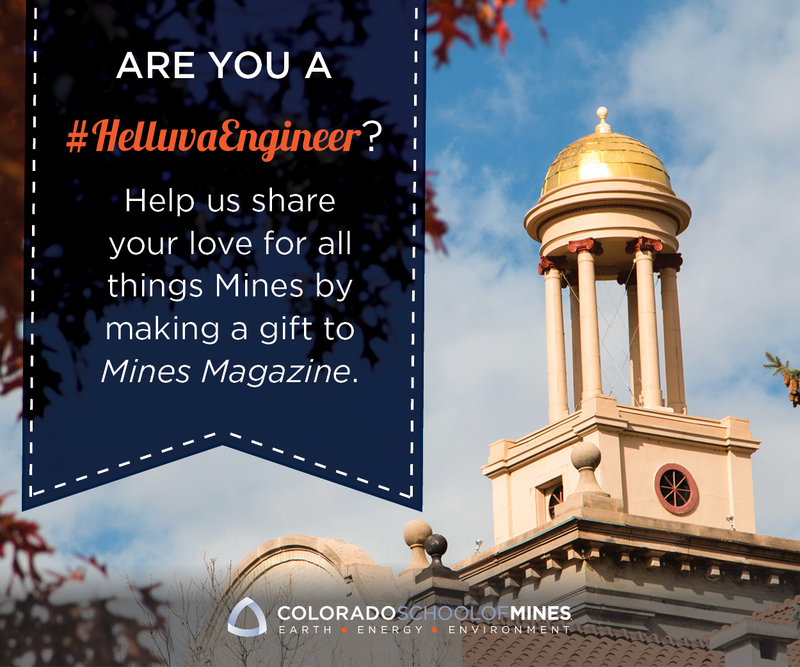 Then the work started, not just the intense studying required to complete a petroleum engineering degree at Mines, but also the 30 hours a week he put in at the Coors plant to help pay his tuition. “There was a lot of pressure and it never seemed like it ever let up,” Marquez says. As it turns outs, pressure is something that Marquez (pronounced ‘Marcus’) handles pretty well. After making it through Mines, he quickly landed a job at Unocal in Southern California. Thirteen years later, chafing under the bureaucracy of a large company, he and a partner formed their own firm, Venoco Inc. Thanks to Marquez’s keen eye for extracting new life from aging oil fields, as well as some shrewd deal-making, it’s turned out to be a great decision, but there have been some bumps along the way, including an ill-fated partnership with Enron; being fired by his own board of directors; a struggle for control of the company; and a class-action lawsuit brought against Venoco and led by Erin Brockovich, the environmental attorney depicted in the 2000 movie starring Julia Roberts. Despite it all, Marquez emerged intact and is happy to report that his life is much less dramatic these days. He’s back in charge at Venoco, the company is doing well and, having amassed a sizeable fortune, he’s devoting a lot of time and energy to giving it away, some to Mines. Thanks in part to a $10-million matching gift from the Timothy and Bernadette Marquez Foundation, Mines broke ground on a new building for the Petroleum Engineering Department in October. It will be named Marquez Hall. Tim Marquez talks with operations supervisor Jeff MacDonald on Venoco’s Platform Holly in the Santa Barbara Channel. Now that their youngest daughter is college, Tim and his wife, Bernadette, will likely be spending more time with friends, especially once they’ve completed a move from their home in a historic Denver neighborhood to a luxurious downtown apartment. Among the many advantages of their new location, Tim may be most excited about the prospect of being able to walk to Colorado Rockies games. Tim Marquez is clearly committed to Mines these days, but that hasn’t always been the case. Prior to announcing the $10-million gift, he hadn’t stepped foot on campus for twenty years, and he hadn’t given the school a dime. As anyone who keeps up with Denver news will know, the Marquezes’ generosity isn’t limited to Mines. In 2006, working closely with Denver Mayor John Hickenlooper, he and his wife, Bernie, made a matching gift of $50 million to create the Denver Scholarship Foundation. The five-year-old foundation has since provided college scholarships to students from Denver Public Schools totaling $5.2 million, and the college counselors it places in every public high school in the city have helped students win additional awards worth another $62 million. Tim and Bernie Marquez (R) were joined by his parents, Thomas and Beverly, for the October groundbreaking. Both Tim and Bernie are deeply committed to education and have strong ties to DPS. Tim’s parents, Thomas and Beverly Marquez, both taught in the system, and all three of the Marquezes’ daughters have gone through Denver Public Schools. Bernie chairs the State Board for Community Colleges and Occupational Education, as well as the board of the Denver Scholarship Foundation. Tom Boasberg, superintendent of Denver Public Schools, says the Denver Scholarship Foundation deserves a good bit of the credit for recent improvements in the district: enrollments hit a high last year, and the proportion of graduates who are college-bound rose 20 percent, to nearly half of the graduating class. The Marquezes’ rise from the middle class to a spot among Denver’s philanthropic elite began back in 1992 when they borrowed $3,000 on a Visa card to help launch the company. Their first acquisition, an oil field in Whittier, California. considered to be tapped out, cost only $150,000, says Marquez. A year later, after installing more powerful pumps, the company was logging a profit of more than $200,000 each month. In 1998, when they permitted the energy giant Enron to buy a 26 percent stake in Venoco for $60 million, it seemed like an excellent decision, adding value and liquidity to their growing company. But three years later, when the cash-strapped Enron asked Venoco to buy them out, a firestorm of complications ensued. As Venoco’s largest shareholder and CEO, Marquez took one look at Enron’s proposal and flatly refused. He didn’t want to operate the company under such a burden of debt. However, his partners proved more pliable, siding with Enron, and their combined voting power was sufficient to force Marquez from his position as CEO. Hurt and a little baffled by how fast things had come unraveled, Tim Marquez returned to Denver with his family, where he soon launched another venture. But he was not about to give up on Venoco, and a bitter struggle for control of the company ensued. Ultimately Tim Marquez won. Threatened by a lawsuit brought by the former CEO, and with the company weakened from Enron’s collapse and the Brockovitch case unresolved, his disgruntled partners finally agreed to sell him the 60 percent share of the common stock in Venoco that he didn’t own, the price was $14 million. It is the best investment he’s ever made. Just two years later, the price of oil had doubled, the Brockovitch case had been dismissed, and Venoco was well on its way toward its peak value in 2008 of more than $1 billion. Even today, after being hit hard by the economic collapse in late 2008, the 60 percent share of the company he bought from his partners is worth about $500 million. Despite the wild swings of the oil business, Bernadette’s confidence in Tim has remained unshaken. She recalls with some pride that during the financial crisis of late 2008, when Venoco’s value plummeted to around $100 million, Tim’s response was to buy three million shares. Today his optimism is as strong as ever. With the world economy still in the doldrums, Venoco is moving ahead with a major undertaking in the Monterey shale. “It’s a huge project by any company’s standards,” says Marquez, who estimates that there are more than 37 billion barrels of recoverable oil in the formation. The Marquezes’ $10-million pledge in 2005 for a new building for the Petroleum Engineering Department was a valuable springboard for raising the additional $15 million needed to complete the building. President Bill Scoggins remarked that the Marquezes’ bold commitment inspired others to get involved. “We had really strong support from folks who went to school here in petroleum engineering and other geosciences,” says Scoggins. “Just as importantly, the corporations that hire our students stepped up too.” The project was further expanded in 2007 when the student body voted to allow a portion of their fees to be used to pay for a 25,000-square-foot, general-purpose wing. Tim and Bernie have told their three daughters, who range in age from 19 to 24, that they will receive enough to cover the cost of college and a down payment on a house, but not much more. The majority of their fortune, as much as 95 percent, the Marquezes intend to give away. All that said, Tim Marquez has nothing against a little extravagance. He doesn’t own a private jet, but he likes to entertain, sometimes flying in employees and their partners to luxurious hotels near their operations in California for Christmas extravaganzas. He enjoys fine wine, and the couple owns homes in Beaver Creek, Colorado, and Santa Barbara, California, where Tim travels frequently for work. However, by far the largest outlet for their wealth is philanthropy. In 2008, they pledged $7 million for a nursing addition to a life sciences building at Michigan State University, where Bernadette earned her nursing degree in 1980. Tim, whose father is Hispanic, is eyeing what could be done throughout DPS to lift high school graduation rates among Hispanic boys. And in addition to the money they’ve placed in the Denver Scholarship Foundation, they’ve also placed another $50 million in the Timothy and Bernadette Marquez Foundation. They don’t yet have plans for this money and, apart from the gift to Mines, have made only a few small grants to date. Eventually, however, they plan to give away most of their net worth through the family foundation. For now they are keeping their eyes open for the right investments. “We want to make an impact. We want to find the next Denver Scholarship Foundation,” says Bernadette. Not surprisingly, the Marquezes’ enthusiasm for philanthropy has permeated Venoco’s culture. Bernadette oversees their corporate philanthropy program, which is directed toward the communities in which Venoco operates. A committee made up of employees from both California offices and their headquarters in Denver decide where the company’s money is donated. Although they are now well-known in Denver for their philanthropy, the Marquezes don’t seek attention for their gifts, initially they tried to make the $50-million matching gift to start the Denver Scholarship Foundation anonymously. In the end, they were persuaded that their public involvement would help the foundation raise money. Tim is also a little uncomfortable at the thought of seeing his name on Marquez Hall; but on the other hand, he’s pleased that the building bearing his family name will pay tribute to the values of discipline and hard work that Mines helped to instill, difficult and painful though that process may have been. PreviousWhat Is a Mines Degree Worth? Excellent article. I worked with Tim in The Netherlands. Great to see that he has done so well. Lovely family.